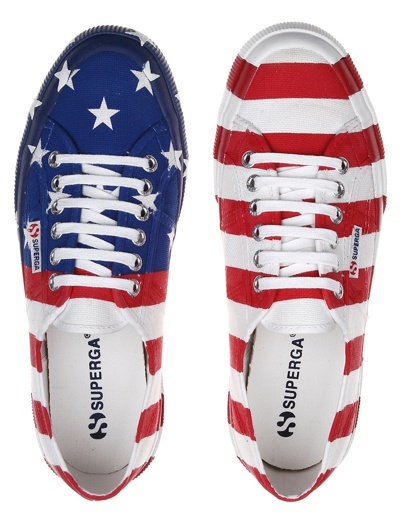 This week’s Shoesday Tuesday’s got the Americana fever with patriotic shoes. I’m sure that a lot of brands designed their 4th of july shoes but I chose these two due to comfort and cuteness. 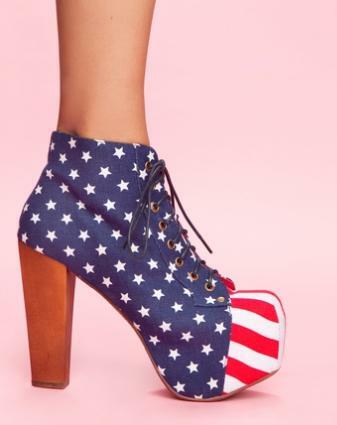 The infamous Lita platform boot from Jeffrey Campbell in “American Flag” and Superga’s 2750 Cotu Flag Usa. And remember that July 4 isn’t the only occasion to show your patriotism. The Olympic games are weeks away. Have you been watching the US Olympic trials? Got plans for July 4? Sound off below. Tags: 4th of July, Fashion, Jeffrey Campbell, shoes, Shoesday Tuesday, style, Superga. Bookmark the permalink.